Weeks before a London extradition hearing, Indian tycoon Vijay Mallya faces a second legal battle after Diageo Plc sued to recover a $40 million payment made when he was ousted from United Spirits Ltd. last year. Diageo filed the suit in London Tuesday after setting out the grievances in its annual report in August. The drinks giant claims Mallya breached a $75 million agreement, of which it had already paid out $40 million, made when he stepped down as chairman of United Spirits in February 2016. It’s also seeking about $141 million over questionable payments made by companies affiliated with Mallya. His son, Sidhartha, is also named in the suit. Diageo has amassed a 55 percent stake in United Spirits since it first purchased a share of the Indian whiskey producer in 2013. It battled for months to oust Mallya as chairman after an internal inquiry alleged he’d diverted funds to other companies under his control. Last year, the British distiller agreed to pay Mallya $75 Million over five years to leave the company and not compete or interfere with it for five years. As part of the arrangement, Diageo also said it would release Mallya from liabilities flagged in the internal report. “Diageo is pursuing substantial repayment and compensation from Dr. Vijay Mallya and certain of his affiliate companies," a spokeswoman for Diageo said in a statement. "They include seeking compensation from Dr. Mallya for breaches of the agreements announced in February 2016 that ended his association with United Spirits." 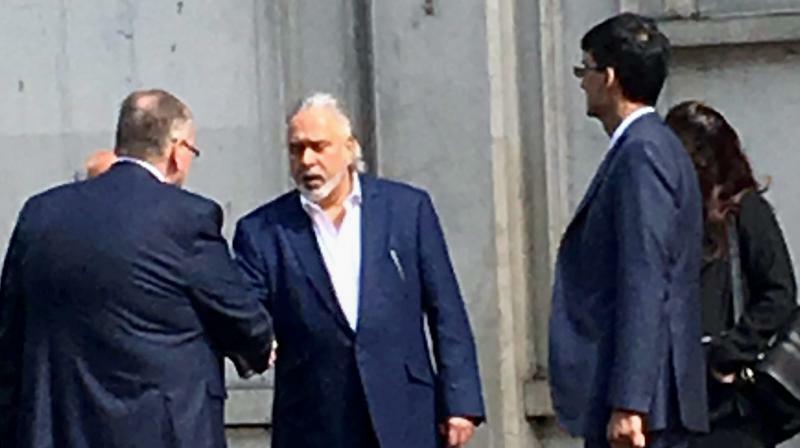 The suit comes as Mallya gears up for an extradition hearing in London next month over allegations he committed a billion-dollar fraud. The 61-year-old was arrested in hearing in April on a warrant issued by Indian authorities. A consortium of 17 banks accuses him of willfully defaulting on more than 91 billion rupees ($1.4 billion) in debt accumulated by Kingfisher Airlines Ltd. -- an airline he founded in 2005 and shut down seven years later. Mallya, who has been released on bail, said in a phone interview Friday the Diageo suit was being reviewed by his lawyers and he would defend any action brought against him. He has also denied the allegations related to the Indian fraud charges. Mallya left India nearly two years ago, saying he was moving to England to be closer to his children. He has since refused to return to India and said he fears an unfair trial amid the “media frenzy and hysteria” over the charges. Mallya, an avid Twitter User, has also said government agencies are pursuing a "heavily biased investigation" and holding him guilty without trial.